Tonight I watched the Germans v Australia World cup game and did my own little scouting report on a player we are linked with Mark Schwarzer. All I can say is lets hope and pray that we dont sign this clown. God knows why we are even looking at a 37 year old keeper who has never played at the top club or at the top level or in the champions league is beyond me? But I wanted to be proved wrong tonight and wanted to see him have a good game. It couldnt be any worst, to say that Rob Green and the Algerian keeper looked better would be harsh. Schwarzer got a “hand” to the first goal and for the 2nd it was pure Comedy. He came flapping for a cross that he was never going to get and got beat by a header into an open goal. Not the type of thing we would want to see after the sights of Almunia and Fabianski last season. After that he was all over the place, Poor kicking, poor punching and just looked a disaster waiting to happen….In all Schwarzer let in only FOUR goals. I hope Arsene watch tonights game and this made his mind up. PLEASE Arsene dont do this to us. DONT SIGN THIS CLOWN! The guy was amazing, Pace and vison and had a hand in everything. Sweet left peg and would be a fantastic signing. No doubt after tonight all the big clubs will be looking at him. Next Story → Tactically Domenech & Wenger Are The SAME! My sentiments exactly. Don’t rate Schwarzer very highly anyway particularly and he ain’t gone up in my estimations now. And at half time I* was on wikipedia trying to find out about Ozil. Very impressed by his performance. 22 year old and at Werder Bremen. We should try and get a package deal sorted out with Pertersacker in the mix as well. Very good solid German display. They are the ones to beat so far! Hi Guys. I was lucky enough to be at the game I totally agree with the author however I’d like to add Thomas Mueller to the list of possibilities he looked the part and you know what the Germans play football that is similar to Arsenal’s. The German keeper looked good and so did Mertesacker I guess it was the usuall german efficiency. I doubt a keeper on the planet would have saved the first goal. The second was an error, though more an error in not getting off his line a moment quicker… The other goals were not his fault either. While it was not a commanding game by him he was under siege by the Germans and receiving little support from those in front of him. I think he actually made a couple of good saves and the scoreline could have been a lot worse. But that said, I would prefer a better keeper than Schwarzer (or Almunia or Fabianski). 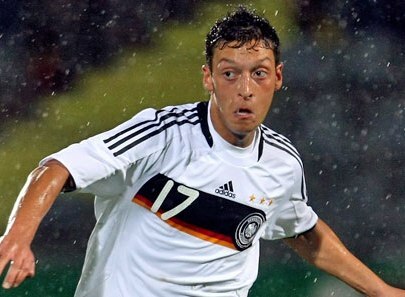 Ozil a replacement for Fabregas. 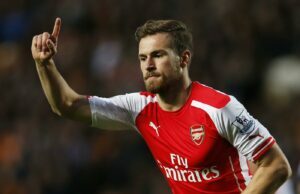 He is a quality player and had a great game but he is a different player to Fabregas and not a direct replacement. 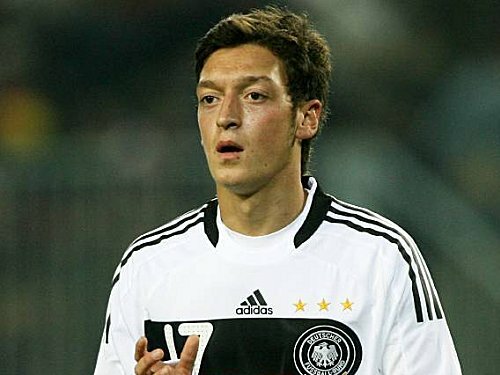 We wont sign Ozil, and there is no chance of it. His value has probably sky-rocketed. Cole for free and Ozil for 20 mill sounds good business to me!!! Cole has already agreed terms with us!!! Well if Swartz or Green joins us there’ll be another clown along with the other two and our manage whoops!! bank manager will be the ring master oh what a circus we’d have goals scored against us from the half way line that wouldn’t at all surprise me. For gawds sake pay the cash and get us a decent keeper and not one near pension age because thats what the majority of us long suffering gooners want…. schwarzer is light years ahead of anything we have right now. give germany a bit of credit as well. Way too harsh. Just look at Schwarzer’s performances from Fulham last season and you’ll see how good it he is. Definately one of the top 5 keepers in the EPL. And as with Ozil? Well, apparently we were in ‘advanced’ talks with him although that never eventuated. After his performance against Australia, his price probably just grew astronomically and i doubt we’ll sign him, unless Wenger splashes out a lot of cash. I’d pick out of him and Gourcuff, even if Fabregas stays. Mark Schwarzer has never played at the top level. Two world cups as a first choice keeper apparently means no top level experience these days? What about taking Fulham to the Europa final? That wasn’t bad. This is the definition of knee-jerk reactions to a player. schwarzer is a clown, youre right! not only because of bad keeping. he mentioned the german keepers are underclass. no more comment on that. özil? extremely good player, but i dont think he will leave werder bremen soon.